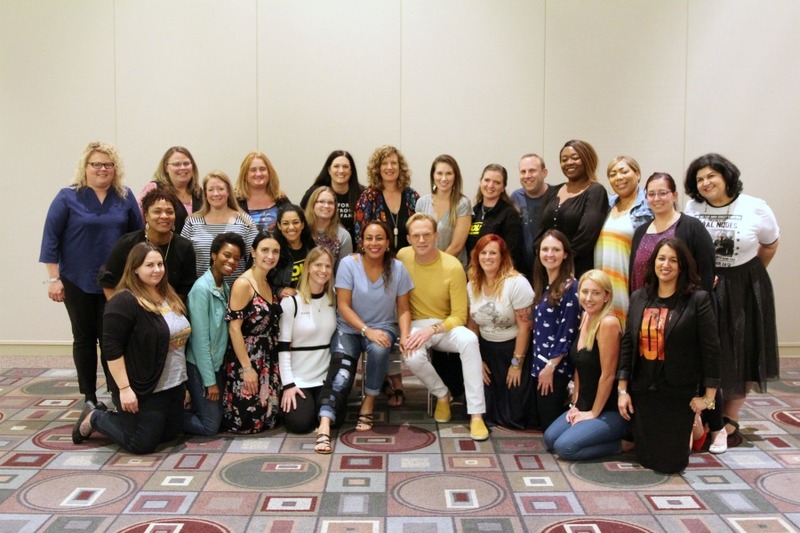 Many thanks to Disney for inviting me on an expense-paid trip to Los Angeles to attend the #HanSoloEvent and #ABCTVEvent in exchange for coverage on my blog. No other compensation was provided. All thoughts and opinions expressed are my own. If you’ve been following my #HanSoloEvent coverage this week, then you’ll know that we clapped each time that the talent walked in to our room. 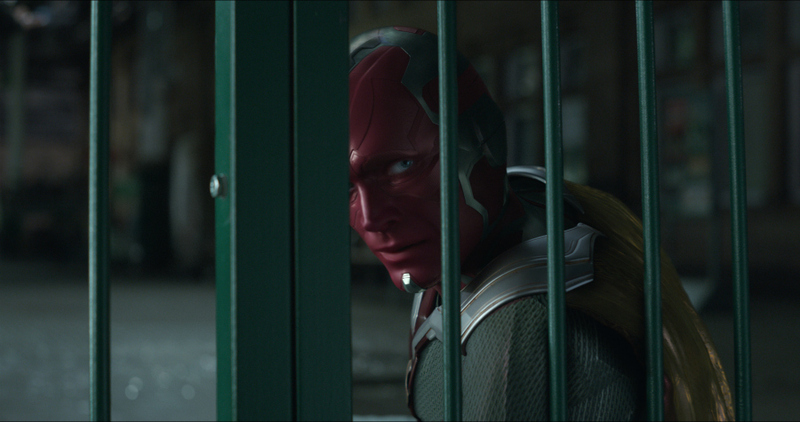 It caught more than a few of them off guard, and Paul Bettany was no different. His reaction? With a huge smile on his face, he said, “Look at all you lovely people! 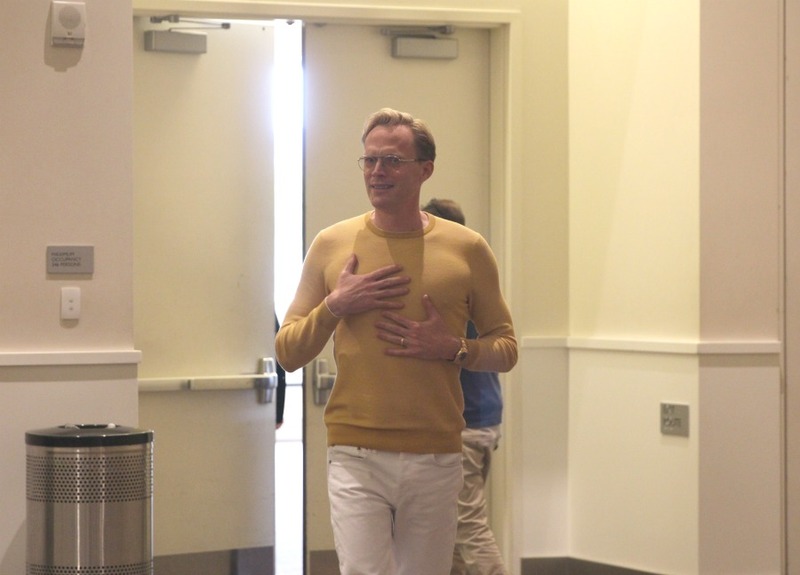 Wow.” It’s kind of a treat to be greeted by THE Paul Bettany that way. His humor and honesty put us all at ease. And, really, he is such a GOOD GUY, despite the fact that he plays a really BAD GUY in SOLO that it’s hard not to love him. 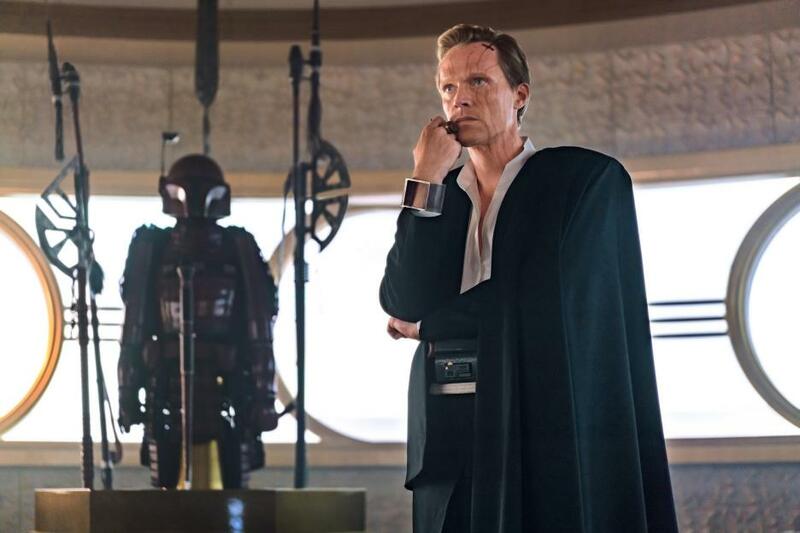 Paul Bettany is Dryden Vos in SOLO: A STAR WARS STORY. 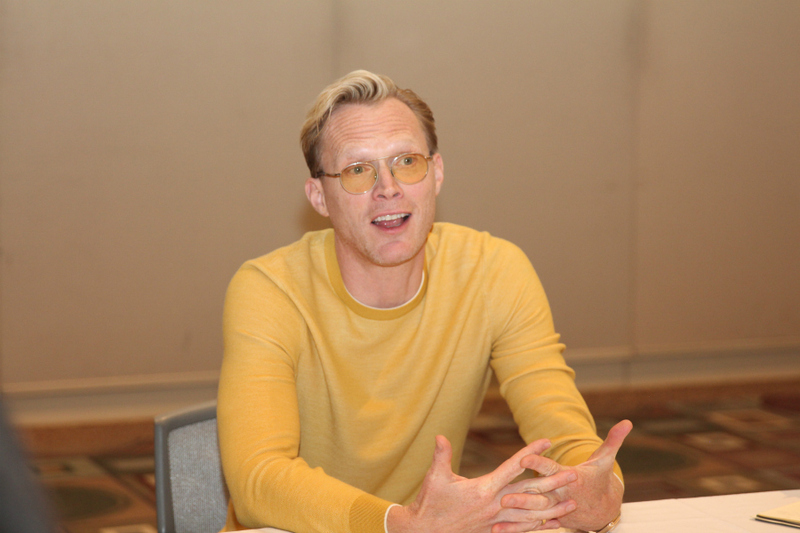 Paul Bettany has been fairly busy lately, with the latest Avengers movie still in theaters at the time of the theatrical release of Solo: A Star Wars Story. 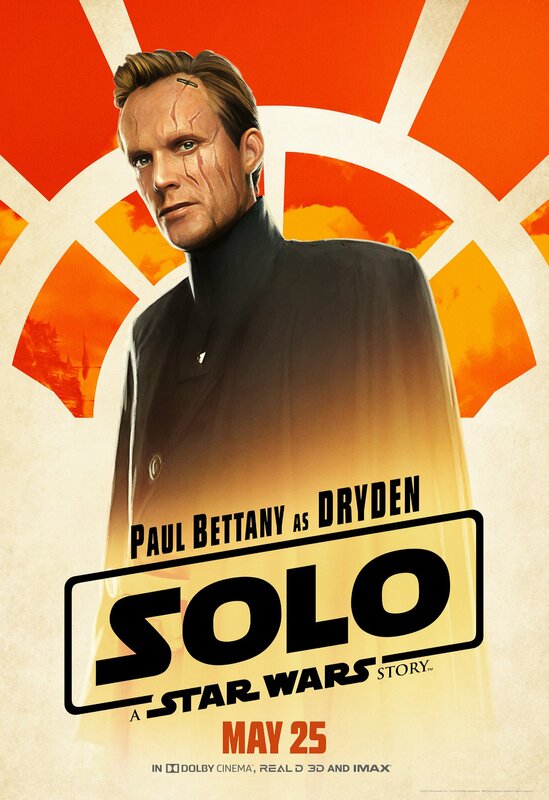 I’m sure it’s a difficult decision to sign on to two demanding movies at the same time, so we asked Paul about how he got the role of Dryden Vos, and why he was interested in being involved in this Star Wars movie. “This is a hugely embarrassing story which I shouldn’t tell you but I’ve got to tell you anyway. In 1977 I saw Star Wars. I was six years old and it took me out of the gray, miserable 1970’s London. London was really depressed in the ‘70s, by the way. So, it was just (amazing) to be taken away to that universe. I loved seeing the love and respect that Paul has for Ron Howard (they really are old friends). Later in the interview, Paul said, “Ron is as close to family as you get in this business. He’s put his hand out and helped me out so many times I can’t tell you. And seeing him be so accomplished . He’s just a fine, fine director.” Paul admired what Ron was able to do coming on the project after it had already started. He said that it could have been a tricky situation, but Ron’s ability with staging and his natural talent made the movie a success. But what was it like jumping between superhero and villain? Paul said that it wasn’t difficult to go back and forth between the two characters because he knows Vision so well. It also helped that, despite the fact that he was going back and forth between two cinematic universes and two different filming locations, he had support from the directors and producers of both films. Speaking of makeup, we were shocked to find out that Dryden Vos’ facial scars are all CG – no makeup – and all done in post-production! On playing a Star Wars villain, Paul said, “I really wanted to do something very different. And I felt like I could because the offshoot films, you know, they’re not encumbered with the same set of responsibilities that the main franchise (films) are encumbered with. 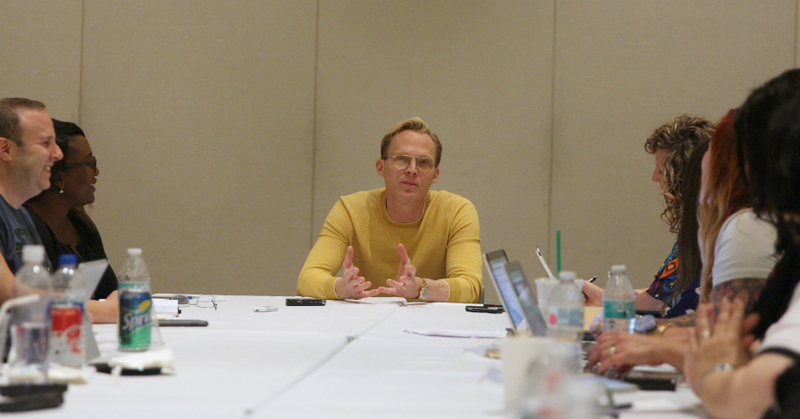 Paul Bettany has said before that Star Wars changed his world as a child. We asked him if there was a moment on the set when it hit him that he was in a Star Wars movie. Without a hesitation, Paul said, “Oh, yeah, there were many moments where I went, ‘Oh, my gosh, I’m in a Star Wars movie!’ I think because Ron and I were newcomers on the block, as it were. You know, everyone else had been in there for eight months or whatever. And we were still totally un-jaded by it. And I kept elbowing him and saying, ‘We’re making a Star Wars movie. We’re making a Star Wars movie!’ And my first day, in fact, I was on my starship. 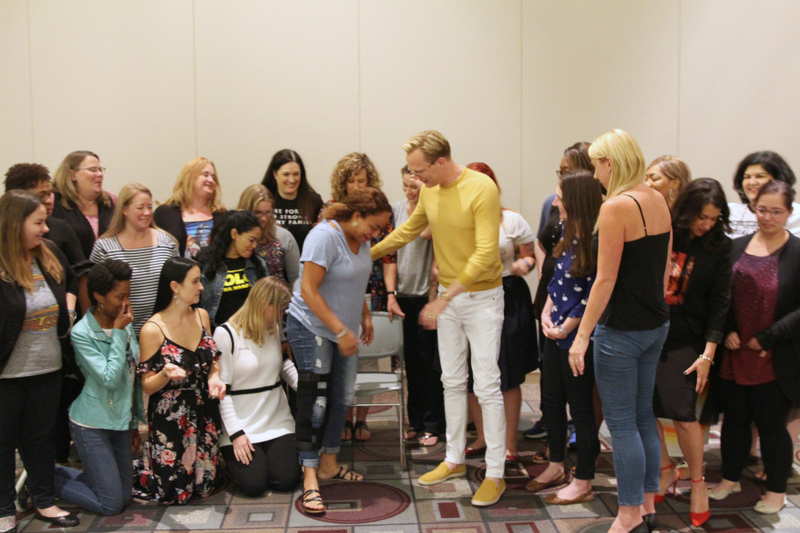 My favorite part of our interview had to be be when Paul Bettany started talking about his children. We asked him what legacy he hopes to leave for his children. Instead of talking about what he has given to them, he talked about how proud he is of them. Paul said, “I think the thing I’m most proud of with my kids is that they always say please and thank you. I have taught them (that) there is no separation between children and adults in our lives in terms of like going to a restaurant, you know, they’re with us. Their time spent on devices is really limited. “They are not allowed devices in a restaurant. They have to ask questions and they have to be engaged with other people. I have a 20-year-old and I have a 14-year-old and what I noticed about them is that they have a confidence within themselves that I feel that I really lacked. I might be strict with them, which I have been about certain things, parties and all of that stuff as they grow up. “And now my son, who’s 20, is off to college and doing his own thing but, deep down inside they appear to know that they’re just excellent company, you know, that they’re good people. So, I might be pissed when we might be having a problem but you know, they know how loved they are and how lovable they are. And I mean, and we have tried to inoculate them from all of the slightly weird and odd things that can happen having parents that do what we do. “I mean, when we all fly together, we fly in coach because my son one time in First Class said to me, “Dad, these seats are not…’ (and I said,) ‘You’re coming with me.’ And we fly in coach. You might see me in there because I’ll be the one with the scarf around me. Can you see what an amazing dad he is?! Be sure to catch him in SOLO: A Star Wars Story, opening in theaters everywhere on May 25! Follow our exclusive coverage by checking out hashtag #HanSoloEvent on social media or click HERE to see all of my Han Solo Event coverage.